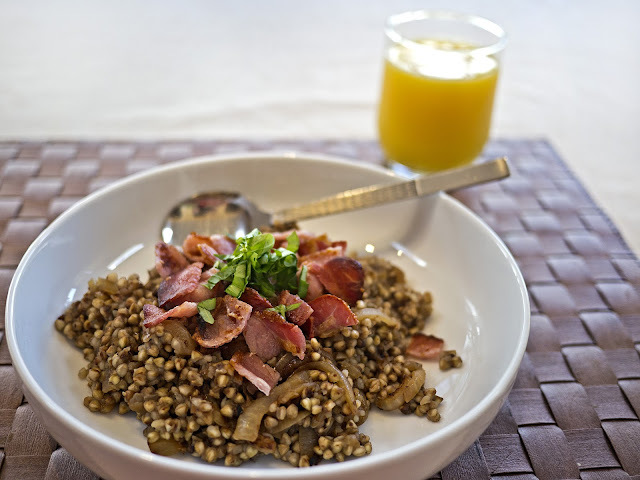 I am totally hooked on buckwheat at the moment, and thought I'd have a go at making a Russian savoury porridge for breakfast. 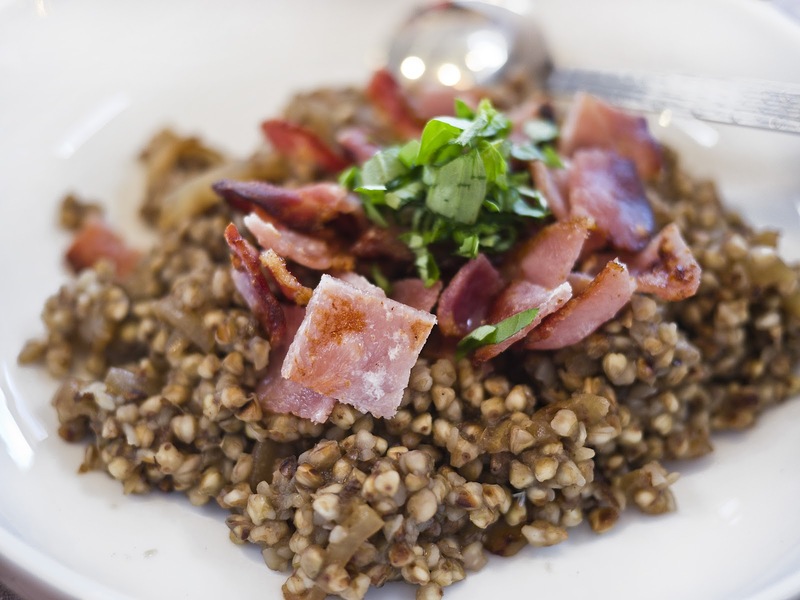 Kasha is a Russian word for toasted buckwheat – I remember the first time I tried it was in one of the former USSR states, in a small hotel in Minsk, Belarus. Dry toast the buckwheat until starting to brown and becoming fragrant. Add the stock and simmer for 15-20 minutes until all the water is absorbed. Meanwhile, sauté the onion in Fry Light until soft. Grill the bacon and chop. When the kasha is cooked, add the onion and stir well. 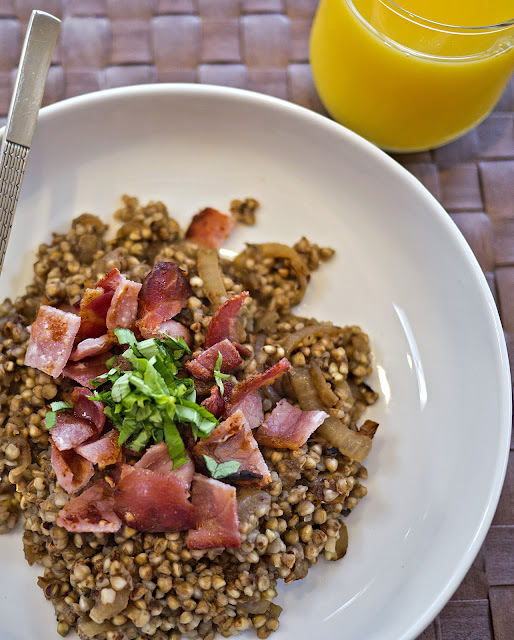 Serve topped with the chopped bacon and sprinkle over the basil.